Natalia Greene (Ecuadorian activist and Political Program Coordinator at Fundacion Pachamam). Cormac Cullinan: We have been so brought up to think that only people can have rights that the first thing we need to do is to “think the unthinkable” (Christopher Stone). Either we humans think of ourselves as separate and superior, or we understand that we are part of Mother Earth and that our imaginations and all other aspects of our lives are deeply and irrevocably shaped by this living system called Earth. At the time that I wrote Wild Law, many regarded this as a wacky idea, despite the fact that most indigenous cultures around the planet believe in these ideas. The great contribution that Ecuador made was to legitimate the notion of Rights of Earth by incorporating them into their constitution. The discussion now shifted to whether it would work. Today we need to find practical examples of how to implement this approach. Bolivia is following, as are some municipalities in the US. I want to touch on the political implications of this. There was a discussion two days ago led by Pablo Solon; it was really interesting to see people wrestling with these ideas. We’ve come to understand that you can’t have it both ways: either you see yourself in holistic terms as part of the system and that our world being is derived from the whole, and therefore maintaining the integrity and functioning of the whole is essential for our life being, or you view yourself as separate. What we’re talking about here is a shift of Copernican magnitude. Of course this was initially resisted by authorities at the time. The Church made Galileo recant. Today we face a similar potential shift. Shannon Biggs next discussed the obstacles to Rights for Nature: The biggest issue right now is that the law supports the rights of property owners. I’m working with a community in Pittsburgh which has used the Rights of Nature to prevent hydrofracking. What if our legal system saw us as a part of nature rather than above it. What prevents this is a sense of colonization. The people of Pittsburgh don’t want fracking in general, but a small number of people are getting their way in pushing it forward. When I work with communities, the biggest challenge I see is getting over the colonization of minds: people can’t believe that they can challlege and throw away laws. We need to provoke a change in this mindset. That’s 90% of the work we do in communities. 140 ordinances have been passed in communities around the US; the problem, though, is that although they’ve been passed, they haven’t been implemented. Natalia Greene: At the moment we’re working with three communities in Ecuador. Each has been working on Rights of Nature for a long time. In a way, we’ve all been working for this for some time without using this framing. What the biggest obstacle we face? The notion that we have to develop. We need the money from development in order to fund education, health services, etc. So the greatest obstacle is our mindset. Another major obstacle is the legal profession, which has been taught that only people can have rights. But, in addition, we’re all part of this system – we’ve all ridden in a car powered by gasoline at some point. In Ecuador, we’re also working with indicators in order to help figure out how to implement the idea. But perhaps the biggest problem is that we’re willing to see Nature as an object that can be turned into a commodity. This attitude is really shaping current discussions here in Durban. Nothing useful is going on in COP17. It’s civil society that is progressing in this regard. We need to find a way to bring us back together. Cormac Cullinan: Cultures have always had ways to talking about something like rights. We need to decide whether we are going to keep this concept. The danger of jettisoning it is that it has gained significant traction on the international stage. There’s also a long history of Rights gaining traction in the US. It’s a lot of more understandabe than many of the other ideas that circulate around the world. Tom Goldtooth: A basic issue is the question of how we go about a process of cultural transformation. For example, as indigenous peoples we are confronted with Christianity’s concepts of dominion. We have to confront the way in which this concept of having dominion over the land has been incorporated into governance documents. Steve Newcombe’s Pagans in the Promised Land focuses on this issue, arguing that we have to confront our relationship to the sacred and remake this. Cormac Cullinan: I agree that we have to change our mindset, but we also need to change the external systems that reward exploitative behavior. CEOs are working within companies, for example, that are organized according to legal systems that not only encourage but mandate exploitative behavior. This is why we need a rights based movement that is advocating a just and balanced relationship between our species and other beings. Shannon Biggs: This is a struggle for justice against oppression. People’s movements such as the abolition movement have only ever won victories through concerted and united struggle. We’re also honored to have Desmond D’sa here, who is Chairperson of both the Wentworth Development Forum and the South Durban Community Environmental Alliance. We all need to go to south Durban and stand in solidarity with Desmond and his community. Desmond D’sa: Although we’ve got a progressive constitution in South Africa, we need to fight to make sure that Right of Nature gets incorporated. It’s also clear from this week that the people of the world have spoken, and that we are opposed to the destruction of Mother Earth. Let’s not lose the momentum and let’s not allow anyone to divide us. This is a live blog of a panel convened by the Graduate Center’s Center for Place, Culture, and Politics in honor of Earth Day 2011. It also happens to be the first year anniversary of the World People’s Conference on the Rights of Mother Nature in Cochabamba, Bolivia, and of the BP oil spill in the Gulf of Mexico. Shannon Biggs: Nature is a system governing our well being. Yet our culture treats nature as human property, like a slave. When we talk about what it means to recognize rights for nature, a good place to start is to look at the BP oil spill and ask what would have been different if Nature had rights. What would be different today? The only people who can sue BP today are those with a property claim. What if nature could sue BP to be made whole again? We know that there are thousands of miles of dispersant lying beneath the surface. Things would look very different. Cormac Cullinan: I came to this work from a practical angle. I was encountering difficulties generating legislation, and this made me realize that there was an underlying problem. At this time I was fortunate enough to encounter Thomas Berry, who showed to me that our legal systems facilitate the exploitation of Earth. I was shocked, because I’d practiced as an environmental lawyer for many years. I felt that I was part of the solution. But he was right. What we call environmental law really isn’t working. In the last three decades, we’ve seen an unprecedented increase in the amount of environmental legislation. We’ve forgotten that we’re part of the natural order. The idea that there’s a system of order out there, Nature, is not something that’s simply not considered. I came to this through trying to find practical ways to deal with what we’re facing. As someone brought up in South Africa, it was always clear to me that the law was a product of those in power. But in this case we can see that our legal systems have entrenched an exploitative environment between our legal systems and Nature, so we shouldn’t be surprised by the outcome. We’ve defined our system by Rights, but unless we can include Nature in this circle, we cannot include the natural world. So we need to expand the Earth community to include such rights. Vandana Shiva: Forty years ago I got involved in the Chipko Movement, which strove to challenge exploitation of forests. Today, for the majority of people around the world, the notion that nature has rights is not strange. The opposite is probably strange. The idea that seeds can be treated as property by Monsanto is bizarre. All they do is put toxins into seeds. Some years ago, I got involved in the TRIPS agreement controversy. All of this made me realize that for most cultures, humans are just one part of the Earth community. But the scientific revolution changed things so that we saw the Earth as inert. What corporate power has done is to make corporations into the only things that count. We need to work to rebalance things. Natural rights are not opposite to human rights. Human rights are a subset of natural rights, because we’re a part of nature. An example is the legal battle I was involved in over limestone mining, which was going to destroy drinking water. Today we’re involved in struggle over dams on the Ganges. Our slogans are to allow the Ganges to flow freely. Yesterday at the UN, Cormac reminded us that apartheid means “separation.” Today, we have to overcome our sense of separation from nature. This is a forced separation, something against our will. 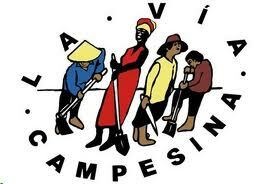 This is something that affects everyday people, who are being displaced through landgrabs in places like Africa. The real thing we need to do is to build the Earth democracy that we’re a part of. The corporations have such a stranglehold on power now. We need Nature to rescue us from the corporate dictatorship. Maude Barlow: Modern humans, not tribal peoples, tend to see Nature as a resource for our pleasure. This has led to great damage and a crisis of huge proportions. By 2030, demand for water is going to outstrip supply by 40%. Right now we’re in a massive sixth wave of species extinction. But all of our governments, with few exceptions – Bolivia among them – are still out there promoting free trade and the rights of corporations. The environmental movement is left just negotiating with governments to lower the amounts of pollution. But it’s coming at it in such a debilitating way. And even the so-called green economy, the way our elites go about it, is a market solution to the crisis. The idea is that you just replace bad technology with good ecology, and you don’t have to replace any of the current paradigms: growth, development, etc. The only way to “save” nature is to bring it into the market. So ideas about the Rights of Nature seek to shift this paradigm. Our whole mindset is based on human law; what would it be like to shift our mindset so that other species have the right to exist. Does this mean that insect rights are equivalent to human ones? No, but it does mean that we shouldn’t drive species to extinction. We’re hoping that the Declaration of the Rights of Nature will one day take its place with the Universal Declaration of Human Rights as one of the founding documents. Every now and then, the human race takes an evolutionary step forward. 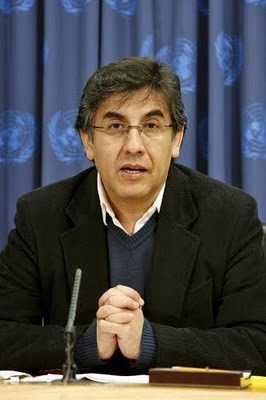 Pablo Solon: Last year, we managed to pass, in the UN, a declaration of the human right to water. About 60 years after the Declaration of Human Rights, we finally got recognition that water was a human right. This 29 of July, we’re going to celebrate the one year anniversary of this event. But we’re also going to celebrate the Rights of Water. If we don’t respect the rights of water, we cannot respect the rights of humans to water. There are vital cycles in nature, and when we don’t respect these rights, we break the system and lose our place in it. What exactly is nature? A thing, a bunch of resources, or a system? This system, does it have laws and rules? If it does have laws, should the society respect those laws? Are we respecting those rules? This is the key question, from our point of view. We believe that we’re just one part of the Earth system, and we humans, and in particular, the capitalist system, don’t respect these laws. So we’re now facing a situation, as all scientists agree, in which we’ve broken the balance of nature. 1) The green economy, which places monetary value on nature, not just on forests, but on environmental services provided by nature. The Rio + 20 conference is intended to approve a series of market mechanisms that have to do with nature. From this perspective, we’re facing a critical situation because nobody owns environmental services; once they’re in the market, balance will be restored. This isn’t something hypothetical. The third round of WTO negotiations is slated to be focused on environmental services. We’re at the beginning of a third round of capitalist accumulation. 2) Our view is based on the Rights of Nature. We have to respect the laws of Nature, or else we will no longer have any place. If we want to have Rights of Nature, we have to fight against capitalism. There is no way to begin a new relationship if we’re trapped in a system that tries to make profit out of everything. Are we going to be able to transform this capitalist system? That’s the key question. We think that the only way for humankind to survive is to develop another system, with another relationship with nature. David Harvey: We need to remember that there are laws of capital accumulation. A basic law is that of compound growth. Since capitalism took off, the basic trend has been an average of 3% compound growth; this is the minimum with which capitalists feel happy. 3% in Manchester in 1800 is one thing; 3% today is an astonishing prospect. What we’re running into is that we’re at an inflection point in capital’s history at which the growth rate cannot be sustained. In spite of the environmental movement’s vibrancy over last 30 years, things keep getting worse. Christopher Stone’s argument (in “Should Trees Have Standing” in 1972) was the first example of the notion of the Rights of Nature that I came across. But we should remember that we’ve already created fictitious rights for corporations, so why not for nature? Capitalism has always been about more, and even more. Capitalists have no choice; they have to accumulate or die. The system has to grow or die. The system has gotten to the point where it’s prepare to die, and to kill us and everyone else with it. If we’re going to confront the present situation, we have to deal with two key things: 1: the environment (which is treated as an externality); 2: social reproduction (the Republicans want to gut the state and hive off social reproduction to individuals so that capital doesn’t have to bare these costs). One of the answers is to come up with a market solution to social reproduction. We’re told that the answer to global poverty is more capital accumulation, even though this produced poverty in the first place. Carbon trading is a very nice market, but it just makes things worse. One of the things you can’t talk about is what the alternatives to capitalism are going to be. How many people in universities are working on such alternatives? We have to be clear about the politics and the means by which we make change. Nothing is really going to be changed unless there’s a mass social movement to change things. Legal measures before the UN will not do it. What was wonderful about Cochabamba was how many people were there. We’re faced with a huge crisis, but in conventional circles there’s very little original thinking about how to deal with the crisis. In the movement for Rights for Nature, there’s the beginning of this kind of original thought. Cormac Cullinan: What we’re seeing in the world is a sense that we need to make an evolutionary leap, which starts off as shifting one’s perspective. This is similar to the Copernican shift. Unless we make a jump to seeing ourselves as part of the Earth, and recognize that we’re part of the system, and reshape our governance systems to reflect this reality, then we’ll not make the necessary changes and we’ll face a precipitous decline in human populations and possibly even become extinct as a species. Now, for the first time, we have a global manifesto that can unite all the social movements: the Declaration of the Rights of Nature. What we’re proposing is not some ideology, but a recognition that we must abide by natural laws. 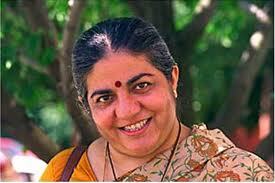 Vandana Shiva: We’ve been sold a bill of goods. We’ve been told that all we need is growth. India has been growing like gangbusters, but we’ve got more hunger than ever. We find that the more we follow the natural laws, the more food we have. The UN has just submitted a report saying that agro-ecology produces enough food to sustain the human population. We don’t need genetically engineered foods, we don’t need toxins. In every sphere, we’ve been sold economic systems and technological systems that impoverish human life because they impoverish human nature. Part of the liberation we need is to recognize that taking less from nature and giving more to her actually empowers us. 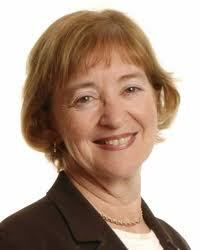 Maude Barlow: I think it’s worth exploring some specific examples. One includes the question of whether to put water on the market. Where it’s been done, it leads to terrible consequences. An example is Australia, where they have one source of water: the Murray Darling aquifer. It’s being exploited by large agricultural concerns, and is now dying. In 1993, the conservative government of the time converted the licenses of big corporations to water rights. The idea was that this would lead to more efficiency. But what really happened was that big organizations bought up water rights and pushed small industries out of business. The price of water went up like mad in one decade. The government then couldn’t get water back into the system. My prediction that big investors would move in has come true; hedge funds are buying up water rights and telling Australian farmers what to grow. Compare this to exploitation of groundwater in Vermont. Four years ago, the state government passed a bill saying that water resources were common property. They set up a licensing system saying that if you want to use over a certain amount, you need to pay. In times of shortage, local food production gets preference. So there’s a fundamental distinction in terms of outlook here. What they mean is that Nature has rights. This has fundamental consequences in our lives. Shannon Biggs: How do we create social movements? We’re all so much in agreement about fundamental principles. But democracy is messy; there’s no one way to move forward. Things can look very different in different places. In the US, Global Exchange has been involved in Mt. Shasta, where communities have been battling water bottling companies. Another issue that this community is fighting is cloud seeding. If you seed clouds in one area, you create droughts in other areas. The idea that we can geo-engineer solutions is folly. The common thread here and in other places such as Pittsburgh, where fracking has destroyed drinking water, is that corporate rights have to be challenged legally. Laws were made to protect and enshrine rights of people and ecosystems. We’ve made such moves in the past: slavery is an example. In Mt. Shasta and in Pittsburgh, laws have been passed to strip corporations of the right to remove water. Pablo Solon: I agree that the key issue is how to build a social movement that is capable of defeating capitalism. Our humble experience has shown that social movements develop when they are unified and when they win concrete victories. Ten years ago in Bolivia, we were facing multiple defeats. We focused on a specific issue: privatization of water. We defeated the powerful Bechtel corporation. Then we had the strength to challenge the privatization of gas. We had to nationalize our gas. Otherwise, how would we be able to share the revenues of our country with the population? It’s not enough to have a movement that fights for specific goals; the movement has to fight to take over the government. If you don’t gain power, all the victories that you achieve will be lost. So we were able to build a movement that for the first time raised an indigenous person to president. We were able to create a government through which we could develop our own strategies. We don’t speak much about capitalism. We don’t want more and more, as capitalism does. But we want to live better. This means that our growth has to satisfy basic needs, rather than be an example of rampant growth. The problem though is that even if you manage to get power in a particular nation, you can’t solve the whole problem, because government is now global. We have to solve this at the world-wide level, or it won’t be solved. If there isn’t a movement that goes beyond our borders and our continent, and that maybe comes to the key areas of capitalism, like the U.S. and E.U., we won’t survive. So we look for the common thing that unites people around the world. The key thing is that we all live on one planet, and we all face a common problem: our governments and our states are not respecting the laws of nature, and this is one of the main causes of why we are in this situation. So, to build a movement requires having a paradigm that can open a way to a new way of thinking. This is why the Rights of Nature is a key issue to build a movement to change the world. What problems arise from the language of rights as extended to Nature? What kinds of strategies of social networking do you foresee being implemented? What should we make of the Limits of Growth and The Population Bomb today? Comment on the food sovereignty movement, please? What do you think of Zizek’s comments about it being good that Mother Earth is dead? What does it mean to say that water has rights? Aren’t you really talking about how an inert substance can support rights to live of other sentient beings? 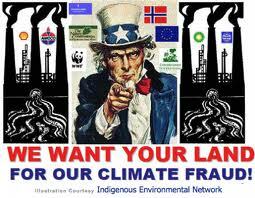 In U.S., regulatory agency that enforces rights is EPA. Problem here is that such agencies are subject to corruption. Do you see alternatives to this model, or means of refining this model? Can you comment on the role of spirituality in reconfiguring the world and the movement today? What about the role of women in transforming the planet? We as indigenous people have been caring for Mother Earth for centuries. This concept of the Rights of Nature is not new. It’s not enough to pass laws; we have to live with nature and respect nature. We need to create our own indigenous nations to defend nature. Do you support this? We’ve seen language of natural rights used before – in quest to conquer New World. Isn’t there a danger of this language being used again in imperialist manner? Cormac Cullinan: The notion of Rights may not be the best way for humans to regulate their affairs. Rights tend to set up a conflictual relationship. Interests might have been better. But we’re faced with the situation that our legal systems are based on rights. This means that for practical purposes we need to use the language of Rights, at least unless we’re in a position where we can scrap the entire language of rights. Until then, we need to use legal machinery to get the state to enforce rights of nature. 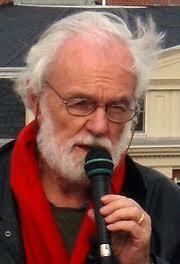 David Harvey: Wouldn’t it be useful to think of other patterns of rights, such as common property rights? Cormac Cullinan: No, we try to get away from property rights. We prefer to emphasize that it’s about relationships. The key thing to think about is that the ecosystems and the universe are held together by relationships. The more intimate those relations, the more healthy the system. We try to promote such intimate relations using the legal system, spreading the idea that this is a web of relationships. Vandana Shiva: The language of a “population bomb” is totally obnoxious because it makes women’s wombs look like ticking bombs. The point is that the resource and consumption question is key. Industrial agriculture is the most wasteful system you could have. The more you expand it, the more hunger you create. US= 60% biofeed. Where’s the food? 10 units of energy are put in to create one unit of food. New data shows that in industrial agriculture systems, 50% of the food is wasted. But in India, all food is used. In nature, there’s no waste; there’s only recycling. The more you work in decentralized systems and closed loops, the more you feed people. Food sovereignty is the ability of local communities to feed themselves. The current system is creating stuff that isn’t food. The second reason that it’s so important to have food sovereignty and food justice is because the rights of nature is the cutting edge for creating a new world. And the food sovereignty movement is the cutting edge in this cutting edge, because everyone needs to eat every day. Once we begin to change the emphasis from corporations dictating what we eat, we will be able to secure all sorts of other democracy. As far as Zizek goes, he’s got it totally wrong. Relating to the rights of Mother Earth IS a post-industrial idea. Pablo Solon: When we speak about the rights of Mother Nature, we’re not speaking only about living beings. We’re talking about the rights of all the components of the living system. That means the rights of glaciers, forests, and all other aspects of ecosystems. From our point of view, these are all part of one living system. The Earth is a whole living system. So it’s not just animal life that has rights. No, the system as a whole has life. And this is something that scientists agree on. 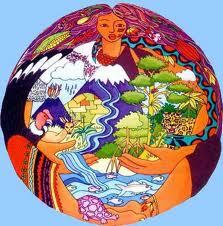 The UN told us that this was religion, Pachamama. So we came with documentation from NASA showing that scientists looked at it this way. Water has rights. The cycle of water is something vital for water, but also for the whole system. We can break it, or we can respect all these rights and all these rules that the system as a whole has. Why rights? When we began this discussion two years ago at UN, we were told to speak about “principles for responsible way of living with nature.” But the key issue is to call it rights. Why don’t people want to call it rights? Because you can be sued if you infringe on rights. This would mean that all citizens could stand up and defend the rights of nature when they’re affected. I would agree that in theory it would be better not to have such a legal system, but this is what we have at the moment. To speak about Mother Earth’s rights challenges the entire legal system that this capitalist system is based. This is why we insist on talking about rights. Someone who kills someone else goes to jail, but if you pollute a river, nothing happens to you. We have to be accountable. The key issue is to make us accountable in relation to our Earth system. Maude Barlow: We need to be careful about our language of decentralization. Shifting responsibility down to local level is a form of power grab. We need local empowerment, not simply decentralization. We also need to be aware that the powerful have a right not to know – they are so powerful that they don’t have to think about the terrible situation we’re in. In opposition to this, we need a right to care. Shannon Biggs: The regulatory system was created to regulate citizens not corporations. It was taken for granted that corporations could pollute in order to make profit. This is what contemporary movements are challenging. Cormac Cullinan: I’m very conscious of the fact that many of the ideas we’re talking about are ancient. I tried to include many quotations from indigenous peoples around the planet in my work. But the point is that we’re not proposing more environmental laws. Such laws are already designed to regulate the rate at which we exploit. Like a law that says you may only whip your slave twice a day. The point is to challenge the entire system. We’re trying to say that we need to use this language of rights because it forces us to look at Nature as a subject in a different way. We’re trying to map our human governance systems onto natural governance systems so that they’re consistent. To the extent that they’re not, we need to change them. Vandana Shiva: Just as feminism is about respecting women as independent subjects, ecofeminism enlarges that circle to all life on Earth.